Opened in 2014, Bodhi Tree Yoga Resort is situated in the foothills of Nosara. If you are seeking a place for enjoying peace, relaxation and rejuvenation, you will find this resort an ideal spot. 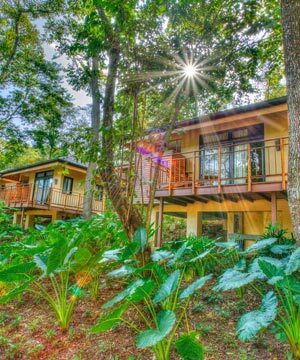 While staying at this resort, you will enjoy the magic of Costa Rica in a healthy way. 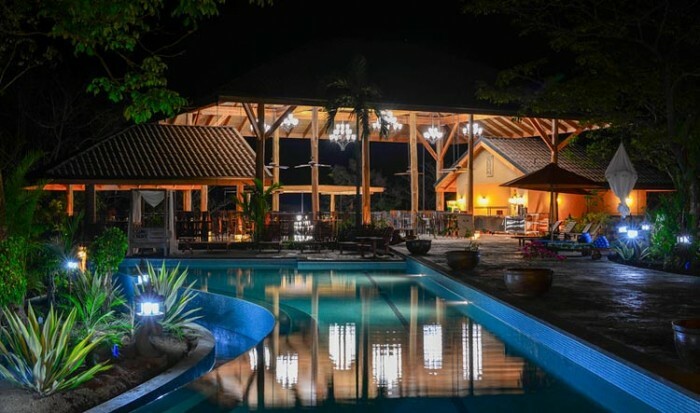 This resort is set 4.6 km away from a safari surf school and 0.5 km away from the Nosara Wildlife Sanctuary at Sibu and 3.2 km from Nosara Adventure Tours. This resort is also perfect for those who are seeking a place for enjoying a memorable yoga vacation. This is the place where the guests will enjoy more than the secluded yoga classes. While staying at this resort, you will get opportunity to read, meditate and to get relaxed. Within walking distance from this resort, you will find the world class surfing beaches. Nature lovers who want to stay close to the nature and enjoy tranquility as well as escape away from the daily harsh life, they will find this resort absolutely perfect. You can visit the tranquil setting in the Nicoya Blue Zone that will make you experience a heavenly inner bliss. This resort also offers high-end accommodations, dining, juice bar and boutique, spa, gym, yoga and Pilates studios. In the Bodhi Tree Yoga Resort you will find a Yoga studio that is made of hardwood floors. This studio overlooks amazing 360 degree views. While staying at this resort, you will enjoy practicing Restorative meditation or a challenging Vinyasa style class in this yoga platform. Surrounded by beautiful nature, this studio allows its practitioners to feel the connection with nature and get the inner harmony. During the practice session, the practitioners will also enjoy watching the amazing view of the ocean. Bodhi Tree Yoga Resort also offers a variety of unique treatments that allow the guests to indulge themselves in peacefulness and get refreshed as well as relaxed. Organic oils, lotion and products are used for all the treatments. If you want to get relieved from chronic muscle tension, you can take deep tissue massage given by an expert hand. Relaxing massages are helpful for getting relieved from the stresses you get from the daily harsh life. For encouraging the circulation of the lymph tissues in your body, you can take the Lymphatic Drainage. Thai massage will allow you to feel refreshed and renewed. There you will also find many other massage treatment options to choose from and enjoy getting relaxed, refreshed and energetic. In this resort, you will find Bali style accommodations that are featured with all the modern amenities and facilities. Hotel staff ensure its guests enjoy complete comfort. In all the bungalows accommodation facility includes air conditioner and WiFi connection. There is outdoor shower and and also a salt-water infinity pool. There are soothing fountains and waterfalls that will lead you to the bungalow. At the time of going outside, you will experience a heavenly feeling and enjoy the star lit shower. You can enjoy some tranquil time on the luxurious Egyptian cotton sheets and a canopy bed. You will also enjoy housekeeping services and security services. In this resort you will get an excellent buffet of veggies and salads, refreshing and cold soups. Organic fish, chicken and vegan dishes are also served. The ingredients that are harvested from nature, are used for preparing the dishes. If you have any special dietary need, you can ask for a personalized service. There are a wide selection of fresh juices, natural smooties, healthy snacks, terrific Costa Rican coffee are available at the juice bar of the resort. This bar also serves Chakra Juices and smoothies that includes vitamins, minerals and antioxidants. During your vacation at the Bodhi Tree Yoga Resort, you will find plenty of options to enjoy a variety of fun and adventure activities in the surrounding area. Both nature lovers and adventure lovers will find different options to choose from and enjoy a memorable vacation. If you love adventure activities, you can go for Canopy tour that will make you enjoy a thrilling adventure and at the same time watching the natural beauty of the area from eye level. You can also spot different species of wild animals of the area and a variety of colorful birds. If you are interested in paddling, you can go for enjoying this activity around the Garza’s northern headland to the fabled Isla Rosada and can also visit “Coco” beach. While paddling, you will also get the opportunity to enjoy exploring the outer reefs of the south Guiones. 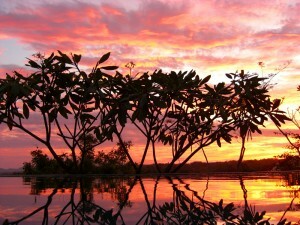 For paddling you can go to the Rio Montana and Rio Nosara that are also great place for paddling on the serene waters. If you go for Kayaking, you might also get the opportunity to watch anhingas, blue herons, roseate spoonbills and maybe even a few crocodiles. Horseback riding is a great activity for the nature lovers as this activity allow the riders to enjoy going around and watching the natural beauty of the area, the hills and also the rivers.